If people see turtles on or near the roads, the best thing — if it's safe to do so — is encourage the turtle to move along, says Murdo Messer of the Cobequid Wildlife Rehabilitation Centre. 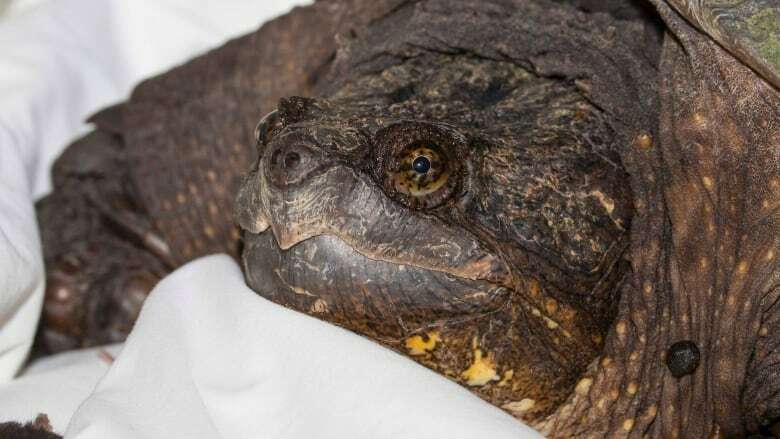 Murdo Messer says when an injured snapping turtle rescued in Brookfield, N.S., was brought to the Cobequid Wildlife Rehabilitation Centre last fall, he wasn't sure the creature would survive. The male turtle had cracks in his shell and was bleeding profusely. 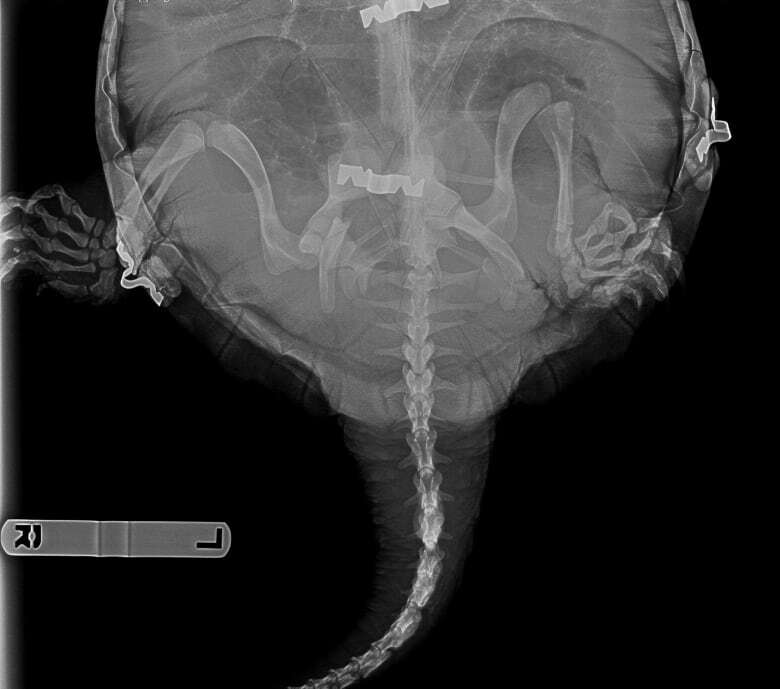 An x-ray would later reveal a fractured pelvis and there was also a risk of infection. On Thursday, after months of recovery, he was released back into the wild, said Messer, co-founder of the animal rehabilitation centre. He wants drivers to be more cautious at this time of year as turtles wake up from hibernation around Nova Scotia. "What usually happens to them to get that kind of injury is they get run over by a vehicle. Given the extent of the injuries, it was probably something relatively heavy like a truck," Messer said. "It's unfortunate because turtles don't move very fast. They end up on the road because they like to lay their eggs in soft, gravely material and that's usually what's found on the side of roads." 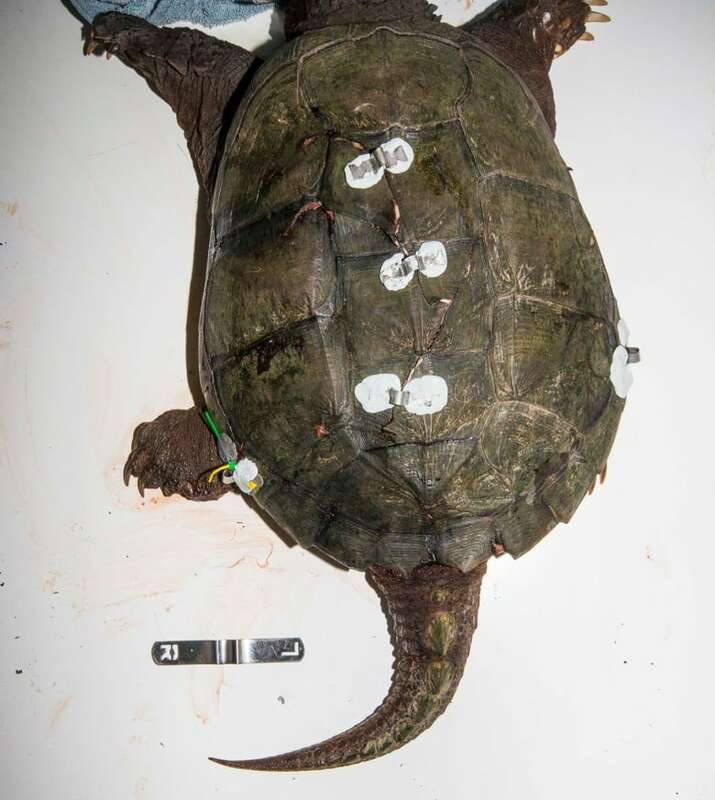 The snapping turtle was found "in pretty hard shape" near the side of the road in September 2017 near Shortts Lake. "He had multiple fractures across the shell and bleeding quite a lot, and would obviously be in pain," Messer said. "The turtle shell is kind of analogous to bone in a way. So if it breaks, there are blood vessels just below the surface. So they would bleed if broken or punctured." He said the shell had to be stabilized in order to heal. Stainless steel metal brackets were glued on either side of the fracture line. As they were approaching hibernation season, the non-profit agreed to keep the turtle throughout the winter to make sure he healed. "They are actually quite resilient when it comes to injuries. They can sustain quite a lot before they die," Messer said. With the spring-like weather finally descending on the province, and as the organization began to hear of other turtles spotted in the area, they decided it was time to return the snapping turtle to the wild. ​Messer said if people see turtles on or near the roads, the best thing — if it's safe to do so — is encourage the turtle to move along. 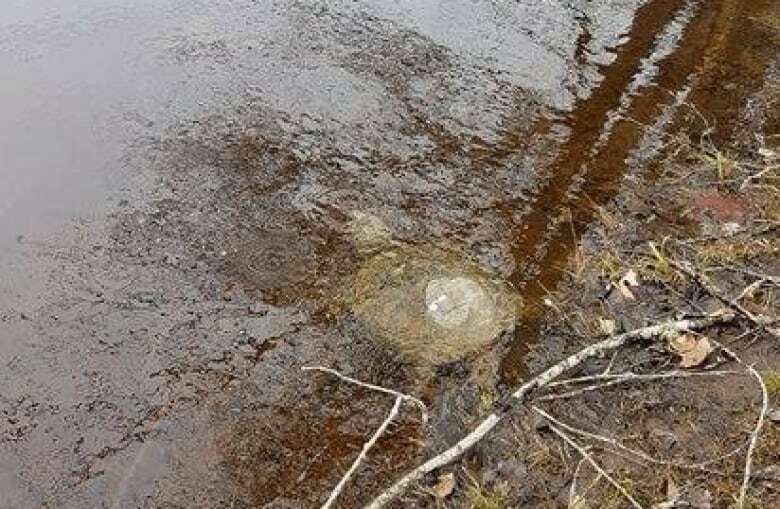 "So for a snapping turtle, because they're kind of dangerous — they have a serious bite — you don't want to pick them up unless you know what you're doing," he said. Touch at your own risk, snapping turtles on the move in N.B. "But you can kind of encourage them to move a little faster with a soft shovel or a broom, just scoot them from behind and make them move a little quicker to try and get them off the road." He said Nova Scotia's four species of turtles are more likely to be around the road this time of year. "Be observant. If you see something that looks like a rock in the road, it might be a turtle. So just slow down and keep an eye out and try not to hit it."